The city of Nanaimo offers some advice and tips to help make for a greener Christmas this year and are encouraging Nanaimo residents to add reduce, reuse and recycle to their Christmas lists. 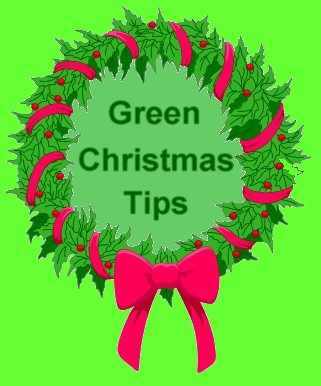 One easy way to reduce waste is by giving gifts of time or services. Sustainable gift choices include donating to charities in the recipients name, giving movie tickets, transit passes, skating or swimming passes or locally made presents. Gift wrap with metal, wax or plastic coatings cannot be recycled and should not be placed in your yellow curbside recycling bag. When playing Santa, make the wrapping part of the gift by using scarf, tea towel or basket as the wrap. Reusable gift bags, tea towels, cloth napkins or even reusable shopping bags are other ways to easily reduce holiday waste. If you have a green bin you are reminded food scraps, soiled paper products such as paper plates, cups, waxed paper, waxed cardboard, paper food takeout containers, milk and ice cream cartons and paper cups can all go in your green bin. The Nanaimo Recycling Exchange on Kenworth Rd. can now dispose of polystyrene foam and will also accept computers, appliances, TVs, stereos and household batteries. For more info you can call 250-758-7777.